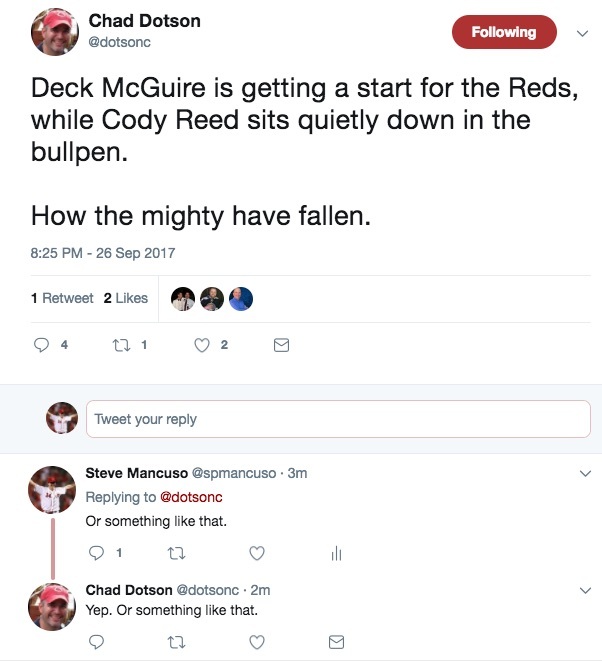 Deck McGuire (28) made his first start for the Reds. After allowing the first two runners to reach base, he came within a pitch of getting out of the 1st inning unscathed. But instead, on a 3-2 count, he gave up a 3-run homer to Domingo Santiago and another run. Those were the only earned runs McGuire allowed in his three innings of work. He was lifted for a pinch hitter in the 4th. McGuire finished with 5 Ks, 2 BBs and gave up six hits. 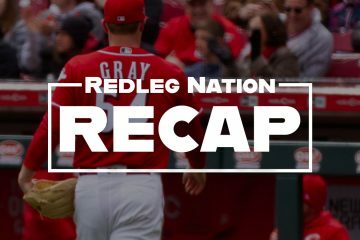 The Reds gave up two more runs on a bad throwing error by Scooter Gennett in the 3rd inning. Deck had two outs, runners at first and second, and he got a ground ball to second base. Gennett fielded it and threw way wide of Joey Votto. Both runners scored and the two runs ended up being kinda important. Scooter Gennett has been great at the plate this year. He’s been dreadful in the field. If the Reds decide to make him their 2B of the future, you may or may not get the hitting again. But you know that awful defense will stick around. That’s another argument for trading him this offseason if you can get another team to pay for his offense. Ariel Hernandez pitched the 4th and 5th. He worked around five base runners – three hits and two walks – to keep the Brewers scoreless. The radar gun registered 100 mph. His average fastball velocity in the big leagues is 98.1. In unrelated news, Aroldis Chapman‘s average fastball velocity this year has been 100.1 mph. That’s the lowest for Chapman in four seasons. He turns 30 in February. Luke Farrell pitched a 1-2-3 6th inning. Michael Lorenzen pitched a dominant 8th inning with two strikeouts. Wandy Peralta pitched the 7th. He gave up a leadoff double, a walk, a sacrifice fly and a wild pitch which added up to the Brewers’ 7th run. Reminder – contrary to what you heard from Thom Brennaman on the TV broadcast – Peralta has not had a breakthrough season. He had one exceptional month – April. Otherwise his ERA has been 4.32 and his FIP and xFIP even higher. He struck out 13.11 batters per 9 innings in April, but just 6.49 per 9 innings after April. Peralta didn’t get worn down. Scott Schebler hit a 2-run homer in the 2nd inning deep down the right field line. It was the 30th Scheblast of the season. Schebler is in the top-20 in the major leagues in power. That list starts: Stanton, Judges, Gallo, Bellinger, Trout. That’s good company.Ã‚Â In the 4th, Schebler beat out a routine ground ball to the second baseman who was playing in short right field. Among other things, Schebler is sneaky fast. Adam Duvall followed Schebler’s homer with a single and tried to score on Tucker Barnhart‘s double. A bad throw made the play close. A good throw would have had Duvall by three steps. There were no outs, but Duvall went anyhow. That might not be a crazy decision with the next two batters being the pitcher and Billy Hamilton. It’s unclear if Hatcher sent Duvall or not. But “Billy Hatcher is waving the runner home” has become a terrifying sentence for a Reds fan. After a 10-pitch at bat, Zack Cozart pounded his 24th home run in the 7th. He also made several Cozart-like defensive plays. Jesse Winker hit his 7th home run in the 8th inning. It was a pinch hit solo shot. You have to wonder why Bryan Price had Jose Peraza pinch hit in the 4th inning instead of Winker with runners at 2nd and 3rd. It was a RH pitcher. Peraza hit a soft fly ball. Sure hope Price doesn’t think Peraza is a better hitter than Winker. Deck McGuire is 28. Cody Reed is 24. Yes, it’s only one start. 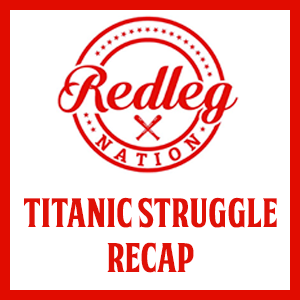 But how deep must Reed be in Bryan Price’s doghouse to be behind McGuire in line to get tonight’s start. I can't think of one single reason to start McGuire instead of Reed, unless you are 100% certain that Reed will never again be a starter. Where does Jesse Winker fit in? Did Price make the call to start McGuire? It seems like that sort of decision would come from higher up the chain. I believe FO wants to have a full view of the pitching staff in advance of spring training, sort of putting the pieces in place (starters, relievers, releases) to get a look of everyone. Price said on the pregame show that it was a bit of a ‘reward’ for the season he had at AA. Maybe they don’t feel like ‘rewarding’ Cody Reed, but who knows? Price is an idiot – Winker reinforces that fact every opportunity he gets to play . More of this stupidly to ensue in 2018. Unbelievable this guy gets another year to show how inept he is as a manager . This whole organization is clueless from top to bottom . The only thing they are proficient at is giving away bobbleheads to con people into ball games . Dude. Quick, concise, and to the point summation of 2017. I thought the same thing when Peraza was sent up to bat.Anybody else would have been a better call in that situation with two in scoring position.Guess he didn’t like the match up of righty against Winker.Price is just a clown pretending to be a big league manager. Probably didn’t want them working around Winker to get to Hamilton. Them walks clog the bases. I was a 155 pound center and MLB on my HS football team. Amazingly, I wasn’t horrible and somehow I managed to survive. But, we had a yeller/screamer coach and I didn’t really care for that. I cared for it less when he was wrong – which was often. Earlier in my senior season, I had been yanked from a game for missing a block. When we watched the tape, I very clearly made my block and someone else, who had remained in the game missed theirs. That was irritating. But this was par for the course. In the last game of the season, my coach again yelled at me from the sideline that I missed a block. But, I had made a really good block and once again he was wrong. Ticked, on the next play I drove the nose guard to the sideline and threw him at my coach, damn near hitting him. His shock was priceless. My coach couldn’t tell if it was on purpose or if I just made an amazing block – but he very clearly saw I made my block. This is kinda the way I imagine Jesse Winker feels every time he blasts a HR or draws a walk – I’m surprised he’s not staring Price down as he runs the base path. I’d love to see Winker start a benches clearing brawl by staring down his own manager after each home run. Between the way he has used Winker these past 2 months and the recent article where Price said he wasn’t even sure Winker would start the year in Cincinnati, any optimism I had for 2018 is quickly disappearing. One of the things that separates good organizations from bad organizations is the willingness to play your best players. The Reds organizational philosophy has been 180Ã‚Â° opposite; they play the “veteran” over the better younger player without exception. Bryan Price and the organization are much further behind the rest of baseball than we want to acknowledge. They put heavy emphasis on small sample sizes they desperately WANT to believe in and ignore small sample sizes they desperately don’t want to believe. That’s how you get a manager giving an outfield job to a guy with a 96wRC+ (Duvall) because he OPS’ed .878 in the 1st half of the year, instead of the guy with the 130wRC+ and who has consistently hit 30%+ better than league average every step of his career. At minimum I’d be asking him every day what I need to do in order to get in the lineup. Of course Duvall and Schebler both had good games last night too. I haven’t found a reason yet to defend how Bryan Price manages the Reds. But, regarding Cody Reed….he stinks. I know it came up during broadcasts that the reason he was sent down was because he could not/would not throw strikes, upsetting Price. In Cincinnati this season (small sample size, but makes the point)…. Just like sitting Hamilton vs. LHP will be a sign that the Reds are optimizing and ready to contend, so, too will be having the staff settled and getting what you can for the Big Walk Machine/AAAA types. If Cody Reed stinks, why did the Reds promote (and pay) him in September, and how can he be expected to improve without pitching? I agree, BK. And is Deck McGuire part of their 2018 plans? If so, then God bless those that think this team will contend next year. Even if the team’s goal is to tank the rest of the season, I don’t think starting Reed necessarily thwarts that effort. But, getting him MLB reps certainly could be useful to Reed and the Reds next year. I would love to see Reed in the rotation. But he just hasn’t shown he can throw his fastball by a MLB hitter. Reed continues to walk a lot of guys and at a higher level then everybody else but the rest also walk a lot of guys.Our whole staff walks a lot of guys and even though I don’t have the numbers I would wager almost all of them walk guys at or above the league average.If we never let a guy pitch unless he is below average we can’t field a team.The point is just let him pitch.Good grief there are now 5 games left in the season so what does it hurt. I suspect Price believes Winker is a better hitter than Peraza. You just have to understand how Price’s mind works. He used Peraza in fourth inning so he could save Winker for a potentially crucial moment late in the game. Sort of like not using your best relief pitcher in a critical situation in the 7th or 8th so that he is available in the 9th when you have a three run lead. Yeah Price isn’t the only manager who lacks a crystal ball in the 4th inning. I’ve rarely if ever seen a manager burn his best PH in the 4th inning. Still the wrong call so I agree, but this is a commonly accepted wrong call amongst even the all time great managers. I haven’t made this comment in a few days, so: That is exactly the point about Price. Even if you think he’s an ‘average’ manager, that’s a reason for keeping him? Because we could end up with somebody worse? … Take the time to actually look around and find somebody whose ideas don’t sound like carbon copies of everybody else! …….. Yeah, I know, I know. OK, that goes back on the shelf for a while. It’s a fair point and one I concede from the onset of this discussion. My response is: when Tony Larussa does it, you’d scoff, you’d moan, but you wouldn’t be out in the streets rioting about it. What if the medical team told BP Winker wasn’t healthy enough to double switch. What if he was hung over in the 4th, but felt better later? What if he knows how Winker sorts out and needs to learn more about Peraza in the clutch? I’m fine with McGuire starting. He’s had a great year and pitched well in the few innings he had out of the bullpen. Might as well reward that. Reed has been terrible and probably needs the winter to work on a new delivery if he is ever going to be effective against MLB hitters. Lamb, Reed and Finnegan. Not looking good ATM. Even so, it’s kind of hard to still call that trade a bust. What did the Reds give up? 5-6 weeks of Cueto? I would view it as they got great value for Cueto for the length of his contract, they weren’t going to re-sign him so they got what they could by trading him in a season when they were in rebuild mode anyway. Might they have received a better return for Cueto than what they actually received? I don’t know how we can quantify that. But Finnegan looked like a nice return and the only thing that makes it look bad now is that he got injured. Pretty hard to blame the team for that outcome. At the time, I thought the Reds “stole one” from the Royals with the Queto trade. But even if all the prospects flop, we still only lost a month of Queto’s services. Trades can only be judges at the time they are made. So, I do not fault Walt on this one. Picking up guys live Duvall as throw-ins is very good. I could argue that the full season they got from Finnegan makes the trade not a ‘bust.’ And maybe Finnegan has more to give. We had to wait awhile on Stephenson, and maybe there is hope there. Same could happen for Reed. Especially if Finnegan gets reinvented as a reliever and like Iggy becomes a force to be reckoned with games on the line. Don’t think we can definitively say that but it hadn’t worked out like many of us hoped. I thought that was a quality return at the time. I thought all 3 were MLB pitchers with Reed being a SP with #2/#3 potential, Lamb being either a #4/#5 guy or an effective LOOGY, and Finnigan working as a setup man out of the pen. For the life of me I can’t understand why Jesse Winker is not getting more playing time. What more could he possibly do? Play for someone besides Price??? Hamilton is a fan favorite. I see him on billboards, for crying out loud. He adds excitement, when he gets on base and make spectacular plays on defense. It does not take a genius to figure that one out. The only way Hamilton will not be in the lineup, is the Reds trade him. I like Winker and has proven he deserves a chance. So maybe Duvall or Schebler should sit. I say Duvall. Hamilton might be a fan favorite for his defense and speed, but he should not be leading off. The three best on-base guys should be hitting 1, 2, 3 in order to strengthen the offense late in the game. That would make sense but I don’t know if that’s what’s going on or not. Three steps ? Are you kidding ? You did see that Duvall was tagged on the back shoulder & the catch/tag occurred about simultaneously ? It might have been poorly advised to send Adam with 0 outs, or a bad play by Duvall if he ran through a “stop” sign. Exaggerating the play serves no purpose. It was an aggressive effort by a guy who wasn’t pulling a “Votto” (strolling into 3rd ,expecting a hol -up from Hatcher). Duvall may be in a monumental hitting slump, but he’s still playing hard. You are absolutely correct. Duvall was tagged on the back shoulder and the catch and tag occurred about simultaneously. The detail you are omitting was the play occured no where near home plate. The relay throw to the plate was terrible, forcing the catcher to run up the 3B line to make the catch. Had the throw been anywhere close to to the plate, the catcher would have simply stood and waited for Duvall to get down the line and apply an easy tag for the out. Excuse me, Bou. Where do you see anyone stating that Duvall isn’t playing hard? Make your argument if you must but use facts. The description of the play in the recap was accurate. The throw was way off the mark but luckily for the Brewers the offline throw took the catcher up the line in such a way that he just was able to make a great swipe tag. A good throw would have beat Duvall without much excitement. You are missing the bigger point…you don’t run yourself out of an inning when trailing….Ever. The reds we’re down 4-2 with no outside and the tying run at second. A 10 year old team doesn’t break that fundamental rule of baseball….Sure..if it s the 8 th inning and you are up a run….and 2 outs…and you want to tack on a big run….yes. In that situation…you don’t risk it…..because of exactly what transpired. Inning over. Hatcher made the mistake….hes holding Duvall and pointing to the bag as Duvall is 2/3 of the way to third. That’s Hatcher’s only job on that play. You don’t send him there unless you’re absolutely sure that unless he falls down, it won’t be close. Duvall did not run through a stop sign. He was waved around. No need to take the space to link it here; but, after the game Sheldon tweeted a clarification, correction and apology for his incorrect real time tweet that Duvall had run through a stop sign. This is accurate. The Brewers broadcast showed Duval going hard to 3rd, Hatcher hesitated 1 second and then waved Duval home. It looked like Duval broke stride for a split second as Hatcher contemplated sending him. Steve brought up an interesting point about Duvall being sent with no outs.The pitcher and Billy are up next so could that have factored in to Hatcher’s decision?I don’t know but it is where we are at with this team and next year with Tucker,the pitcher,Billy and then Peraza in order it gets worse.You can’t hide the pitcher but there are just too many to hide.Peraza came up with two runners in scoring position in the 4th down 6-2 and nobody expected him to knock in anybody and he didn’t?Winker watched and Ervin watched him fly out weakly to center.We all know Peraza was not the player who should hit right there.Keep in mind Winker hits a pinch hit homer(solo) and Erving pinch runs in the ninth.Now we don’ know what would have happened if Winker or Ervin had hit instead of Peraza but either of them are better hitters. Or…..Duvall is held at third….Barnhart at 2b… McGuire makes an out …..But then you have Jesse Winker hitting leadoff with 1 out and 2 on down 2….he homers or walks or singles and then it’s cozart and Votto and you might be talking about a 4 or 5 spot inning that changed the game. You just can’t give your best hitters the most at-bats? Between Duvall’s giveaway out and Scooter giving them 2 runs….another one bites the dust. Same old same old & next year won’t be much different. Price will give away games they should’ve won with stupid moves and illogical lineup construction. They’ll prob leave Senzel in AAA for half the year while Peraza hits the ball weaker then almost anyone in baseball. I hope I’m wrong, but past behavior is the best way to predict the future. People are creatures of habit and the Reds habit is losing! On a brighter note…Winker is really good! Obv its a small sample size, but the kid looked comfortable from day 1! He might find it a little harder vs lefties, but he should be leading off vs righties and there is no reasonable argument against it? He could leadoff and if he struggled vs lefties then Ervin could platoon and leadoff. Hatcher needs to go back to coaching 1st base. He is certainly not a good 3rd base coach by any stretch. How many runners have been thrown out at home plate this year? How many runners have been thrown out at 3B this year? I don’t have the exact number, but it is an inordinate amount. Way too many. The Detroit Tigers are not hiring back their manager, so most if not all of their coaches will go too. I’d suggest the Reds look long and hard at Omar Vizquel for the 3rd base coaching job. If Price gets fired anytime during the 2018 season, then Vizquel is there to be interim manager and also can audition for the 2019 job. It would beat Riggleman being the interim manager. Additional bargain with Vizquel is that it would probably be a good thing to have him around to work with and mentor a couple of fellow Venezuelans Suarez and Peraza along with the rest of the Latino contingent. He might also be able to teach Billy Hamilton how to and when to bunt more successfully. He might be able to help Hamilton add .030 points to his BA and OBP. Vizquel was a good base runner in his career. He won’t stand for this sloppy base running. See what I said to WVRedlegs … I agree that he’d be a great mentor if he is indeed let go and the Reds could somehow get him instead of the Indians getting him. Interesting idea. Not many here have thrown out names that could replace Price. But at 1st glance this seems like a good idea. Not sure that it would be to replace Price but as a coach on the staff and a possible interim manager when Price eventually stumbles, I think it makes great sense. I think the Indians may try to snag Vizquel if he’s let go. Probably would try to grab him for a special advisor or special assistant role of some kind. The guy is near legend in Cleveland. That said, if he is let go and wants to stay on the field as a coach, I’d love for the Reds to go for him. I’ve always liked him. Is being held back so he would be able to keep ROY status for next year. If that were the manager’s decision alone, I believe he would say so. I think that Maguire earned the right to start. I also believe that and the manager was thinking that a double switch might be necessary later in the game and saved Winker for that possibility. We can now return to the regularly scheduled Price bashing. There is more whine coming out of Cincinnati than wine coming out of Sonoma Valley. Cincinnati is cornering the market on Sports Whine. With all this whine about Price, you’d think there’d be some cheese and crackers served up with it. Price didn’t hang a 3-2 slider over the middle of the plate resulting in a 3 run HR in that 1st inning. And Price didn’t throw the baseball away allowing 2 more all important runners to score. Peralta was last night’s bullpen goat again. He is not a lock for the 2018 bullpen. 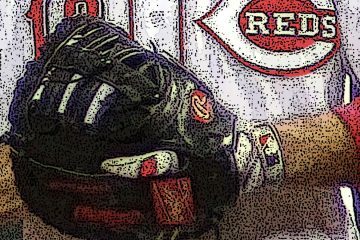 Other than Iglesias and Lorenzen, the bullpen will have to be reconstructed again this winter. If any free agents are signed this winter, it will be only for the bullpen. Why isn’t Winker playing more? Like it or not, it might have something to do with getting Schebler to the 30 HR mark. It might have something to do with Duvall repeating a 30+ HR and 100+ RBI season. It might have something to do with getting BHam the SB title. Also, offense figures into the Gold Glove Awards, so maybe Price is trying to help Duvall and BHam along with that too. All 3 will have some marketing value if any will be on the trade market this winter. It is possible that Winker had to sit a little in September, so that he will have a regular spot in 2018. We have maybe 15 regulars here plus the writers, then the literally hundreds of fans that regularly go to Reds games? Overall apathy crushes whining by a large margin. I will agree that Price didn’t screw up this particular game, but give him time! He’s consistent at what he does, so there’s always a good chance he’ll turn a W into an L before the season is over. Padres are 3.5 games ahead of the Reds with not even half the talent. Not to mention they play 1/3 of their games against divisional playoff teams. They’d break the Mets record of 120 Ls or whatever if Price was doing his thing out there! The suggestion about Winker was made to me a couple of days ago when I was complaining here about Winker not being used. I linked it on the game thread for anyone who wants to check it out. Long/ short is it appears Winker is currently still in rookie status for 2018. The only way he won’t be is if he exceeds 130 ABs, not PAs, ABs. He’s got about 15-20 left he could burn and still be a 2018 rookie. I’m not sure I agree this is what is going on but it is there as a possibility. If it is the case, I think Winker has been probably been told; but, I doubt they admit it publicly, at least until the season has ended. Thank you for the update. I should’ve given you credit. Thanks to “GeorgeFoster” the person who tipped me on it, I just verified the info George suggested. Isn’t there a component of rookie status tied to MLB roster time? Seems like he would be nearly there or surpassed it. He is just inside the limits on the roster time. It is “no more than 45 days” on the active 25 man MLB roster then a bunch more words that boil down to DL time and September don’t count, at least as I read it. So basically did he 46 days before 1 Sept after his DL time was deducted. He is between 40-45 depending exactly how it gets counted but appears to be under 46. Here is the actual rule from MLB with the link…. On not starting Reed last night… I thought I had read a few weeks ago that Reed was dealing with some shoulder soreness himself. I heard the soreness was the reason that he was pulled after 3 innings in his last couple AAA starts and the reason he was going to be in the MLB bullpen upon his September call-up. I do not however recall where I read that.